Its been over a year since this lovely winter wedding styled shoot was published on Artfully Wed and The Reverie Gallery, but I just couldn’t help myself… I had to share this lovely collaboration with you, again! Working on this shoot was just an amazing experience filled with wonderfully talented vendors and incredible details that will spark inspiration for any bride or groom planning a winter wedding. This stunning and modern affair was planned by Details By Chelsea Ann and captured by For The Love Photography. The color palette includes bold rich colors with a pop of citrus which brings a whole new look to a winter theme. The beautiful wedding invitation suite and calligraphy was provided by Eliza Gwendalyn and brought extra originality to this shoot. The multi-tiered cake by Cake Heights was accented with a gorgeous edible flower and lace-like details, almost too good to eat! I styled the beautiful bride in a handmade sheath wedding dress with a plunging neckline that had delicate lace detailing, a full open back, and a removable Swarovski crystal embellished cape. The dress was accented with crystal embellished illusion gloves, the bold Lux crystal earrings, the head-turning Starling Quartz tiara, a beautiful wire wrapped Cyrene quartz pendant, and the oh-so-lovely shoes by Emmy London. Her look was completed with hair by Erica Starr and flawless makeup by Kiki Takos! The groom wore a tux by the Black Tux accented with a handmade tie and matching pocket square by Alyson Nicole, a boutonnière accented with a wire wrapped quartz pendant, and citrus colored alligator cuff links. From For the Love Photography, Details by Chelsea Ann set out to create a glamorous, modern winter wedding inspiration shoot with a palette of soft winter whites, surprisingly paired with bold pops of citrus and deep winter tones. To create a dreamy, romantic setting, she mixed textures to transform a clean loft into an intimate space where guests would want to linger. Ice Chiavari chairs surround a rosette draped table, while a private oasis for the couple with a sheepskin rug, Lucite tables, and a tufted settee offer respite to indulge in a citrus and white sangria cocktail. An oversized garland comprised of pine, eucalyptus, kumquats, anemone and ranunculus created a focus point on the monochromatic table scape. Guests find their seats by the hand calligraphed cards tacked on the custom designed marshmallow pin board. The custom fine art invitation suite by Eliza Gwendalyn set the tone, combining a modern typeface delicately letterpress printed on Crane Lettra paper with her signature calligraphy style in a vibrant orange ink. As guests exit through a crystal curtain with dangling hot chocolate favors, hand lettered notes remind them that “love is brewing.” This intimate, modern loft affair was captured by For the Love Photography. Proving that modern can still be romantic and dreamy, this lovely shoot brings winter wedding inspiration to life with a citrus twist. We felt that wedding blogs and magazines are so focused on spring and summer weddings, and winter weddings tended to be kitschy or holiday focused. 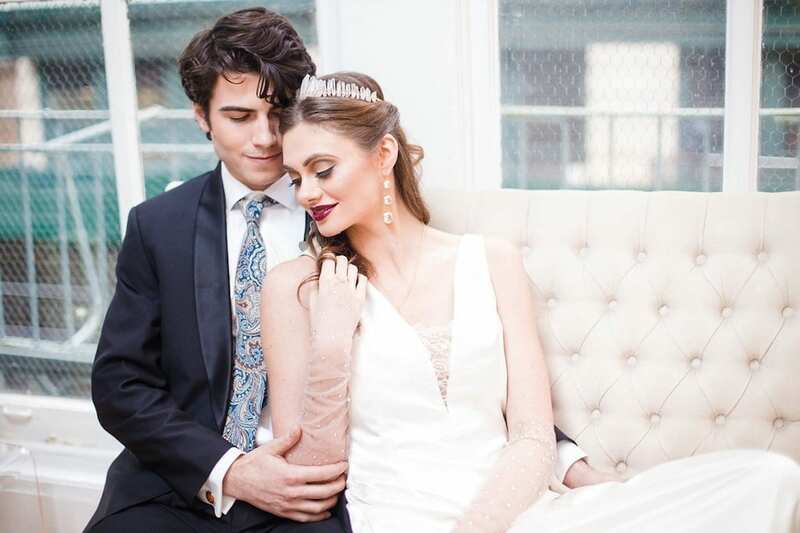 We were inspired by a modern day Elsa from Frozen, who we imagined would have eloped in an intimate loft affair in Manhattan but added a little brightness to the cold winter palette with accents of citrus. Of course, our Elsa glammed it up with deep berry lips and an elegant, hand sewn gown but kept her crystal tiara and Swarovski studded accessories and cape. It was so fun as a photographer to photograph such a dream inspiration shoot. It was definitely a dream shoot to participate in and THANK YOU to everyone who helped make this happen. Now, take a look, pin some of the lovely details on Pinterest, and just get inspired! Well first things first, you have to have the money talk with your fiancé and BOTH of your families. Ugh, I know. Soooo awkward but believe me, it’s necessary. Nowadays the financial burden is no longer shoved on the bride’s family. However that doesn’t mean it no longer happens but help from both families is even better. Weddings are expensive. Another strong possibility is that the bride and groom-to-be are handling the bills, either partial or in full. This has become somewhat of the “norm”, my fiancé and myself fall into this category. Once that’s all figured out… How much money should be allocated to what part of the wedding? Well, don’t worry. I put together a handy Wedding Budget Guide just for you! This guide is based off of a few sources; Pinterest has a lot of these and my handy-dandy Knot Wedding Planner has oodles of information on this topic. Each chart varies slightly but looks very similar to my pie chart to the right. Now, don’t feel like you HAVE to follow this 100%. It’s a guideline that is meant to help but can definitely be altered to fit your wedding needs. 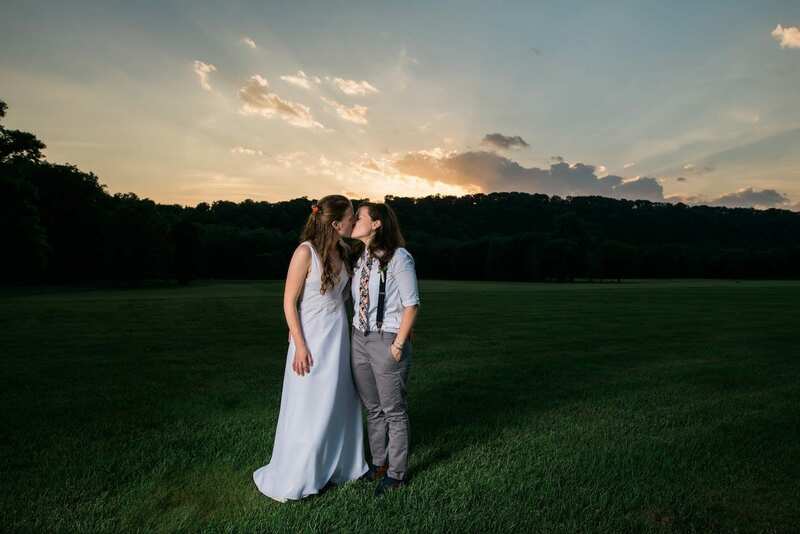 For instance, my fiancé and I are lucky enough to not have a ceremony rental or an officiant charge (thank you MOG ?). Plus, I’ll be saving money (but not time) by making my own wedding dress, AHH (Read about my Kleinfeld experience here)! The money saved will be allocated into the reception budget to accommodate our ever-growing guest list ?. Shop around smartly for vendors. 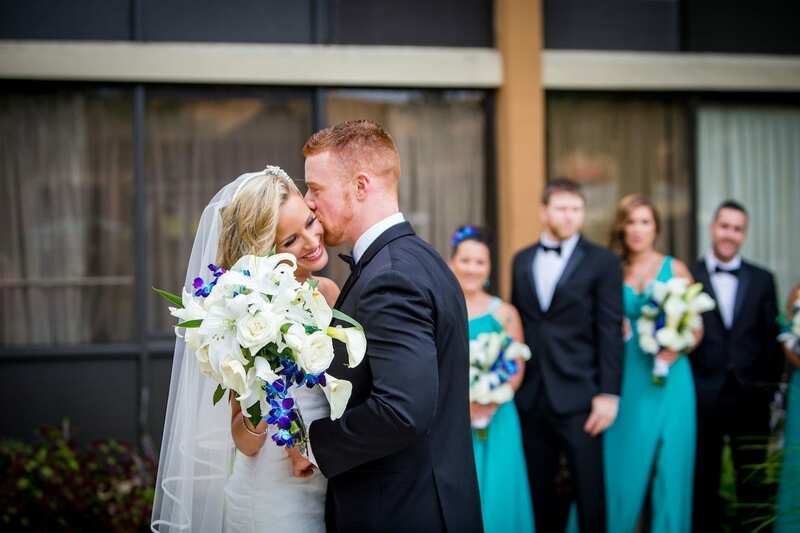 There are tons of wedding professionals out there that are high quality AND affordable. Usually these are the vendors that will be new-er to the industry or they are small local businesses. Don’t discredit these vendors, just make sure to do your research! Wedding Wire and The Knot are great places to start looking, not to mention references from previous brides and grooms. I suggest you do this for all of your vendors, big and small. Discuss all the possibilities with your vendors. Vendors should be able to give you different price point options and explain exactly what that entails. They also should be able to show you ways to save with substitutions; IE. 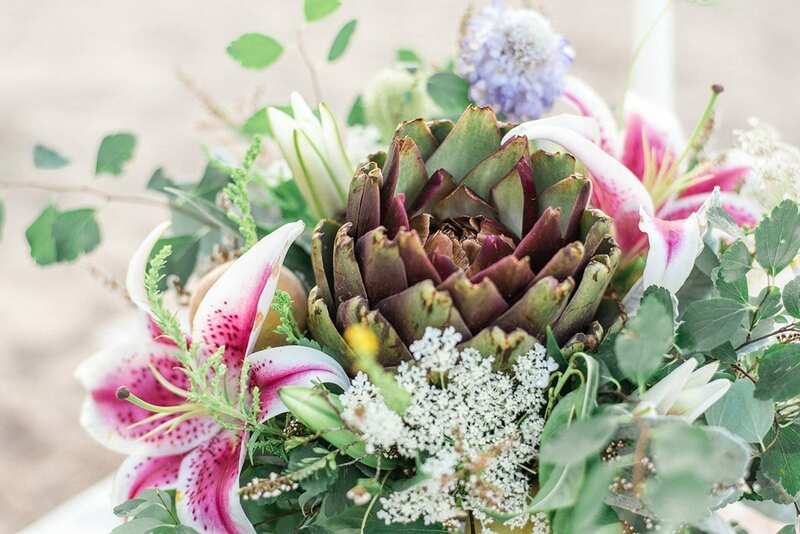 a florist will know different flowers that may look like what you want but are way less expensive. Be OPEN and flexible to what is available for use. When you won’t budge on the table setting color or shape, then you’ll have to special order/rent them which adds up quickly. There are a few things that you MUST remember to include: taxes and gratuities. Taxes are usually included in the bill and some vendors (like caterers) will include a set gratuity in their bill. However, if they don’t that means it’s up to you to include it in your final payment. Even though it’s your wedding, these people are busting their butts to make this day everything you want. So make sure to thank them verbally and tip them, well. Here’s a breakdown of who to tip, how much, and when you should. Also, don’t forget to factor in potential overage charges and miscellaneous expenses. Some vendors will specify these charges in their contracts but if they don’t it’s safer to leave some room for overages. Better to be safe than sorry! 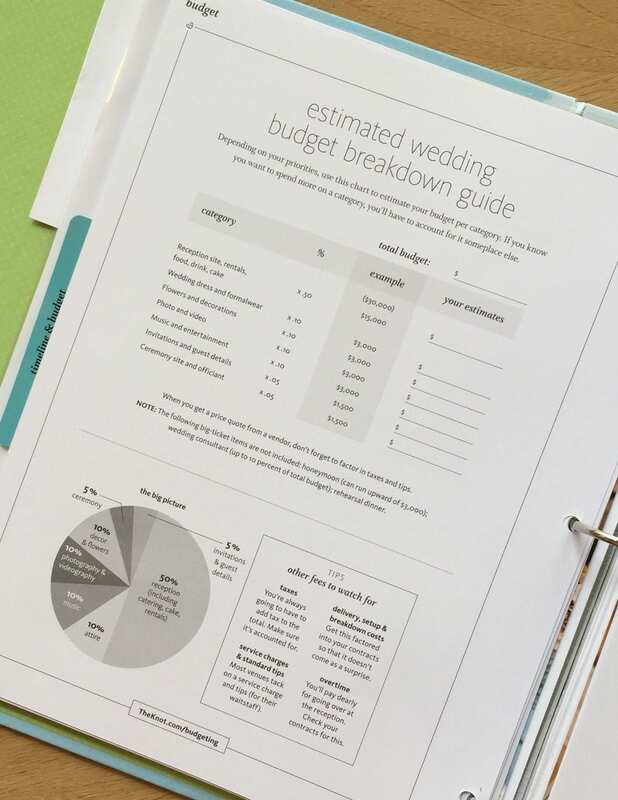 If you’re interested in finding out more information on wedding budgets and planning please follow me on Pinterest, especially my board “Pretty Little Wedding Planning“! Lovely happenings hosted their very first lifestyle event at drift studios on May 2nd. There were so many lovely people that attending to learn from wonderful speaker, great bloggers, and talented vendors/designers. Not to mention the amazing spread of food and drinks. I mean they had a Bloody Mary bar, need I say more? Tickets were $40 when bought in advance but $45 at the door. If you ask me, it was definitely worth it! Each guest had the chance to do multiple DIY projects, get their make-up done, get their hair braided, and learn how to make healthy smoothies. All of this, the food, drinks, and more was included with their ticket. A great deal! For my DIY project, since suede will be trending this summer, I showed people how to make a suede braided bracelet!! The hardest part about this DIY was the loop, which only a handful of people mastered. Most of the time, I helped them out and they did the rest. The bracelets were a hit! Some guests made more than one. Besides all the festivities, everyone was able to shop my products along with a couple other vendors. Christine fell in love with my peacock earrings (shop them here). She ended up wearing them immediately! My floral hair clips were another hit (shop them here). These cute clips have handmade wire flowers that can be customized to any color. Email designs@alysonnicole.com to customize yours! I am honored to have been a part in such a fabulous event. The ladies who founded Lovely Happenings, Rachael and Jaclyn, are amazing, wonderful women. I wish them much success not just in their business endeavors but their lives as well. Lovely Happenings plans on having their next event this coming fall. You really don’t want to miss out! Keep checking their event page for more information. A HUGE thank you to my mother who once again came to NY to help out. On Saturday May 2nd, I will be displaying and selling my products at Lovely Happenings very first event! There, I’ll discuss hand crafting products along with a Do-It-Yourself demonstration! The event will also showcase various bloggers and other vendors who will share their stories and more. You will not be disappointed. Buy your tickets today and don’t miss out! More info here.